Drive your Lexus for 130,000 miles and enjoy its performance, reliability and safety just as it was when it was new again. The secret is repair and maintenance by InTown Auto Care of Moorestown, New Jersey. We're the only maintenance and repair specialists in New Jersey that know your Lexus well enough to maintain it past the 130,000 mile mark and beyond. Whether you're looking for an engine tune up, wheel alignment, oil change, brake repair or computerized vehicle diagnostics, count on us for the kind of care you and your Lexus deserve. 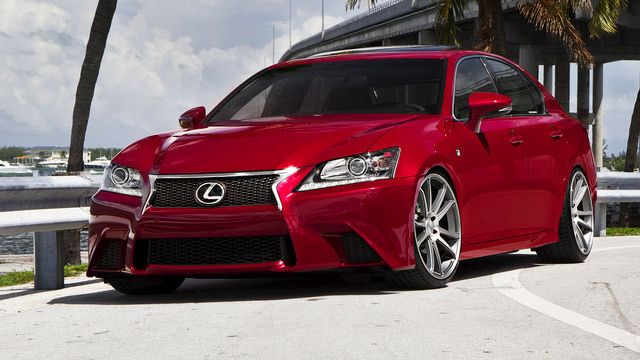 When you purchase a Lexus, you expect a certain level of excellence from everyone who services and repairs it. The myth that you must take your Lexus to a Lexus dealership is only circulating to make the manufacturers more money. At InTown Auto Care, you get a modern auto repair shop equipped with the latest equipment and diagnostic technology. What can you expect from InTown Auto Care of Moorestown, New Jersey? Take advantage of our after-hours drop-off times, for all you early birds and late owls. We even offer a complimentary shuttle service, if you live or work within proximity of our shop. Call InTown Auto Care of Moorestown, New Jersey today. There is absolutely nobody better to trust with your beautiful Lexus.